The English name for the iconic scene card from Ancient Millennium is revealed. Target 1 “Ancient Gear” monster you control; banish it. During the next Standby Phase, return that banished monster to the field, and if you do, its ATK becomes double its original ATK until the end of that turn. If 1 or more “Ancient Gear Golem” or “Ancient Gear Golem – Ultimate Pound” you control would be destroyed by battle or card effect, you can banish this card from your GY instead. 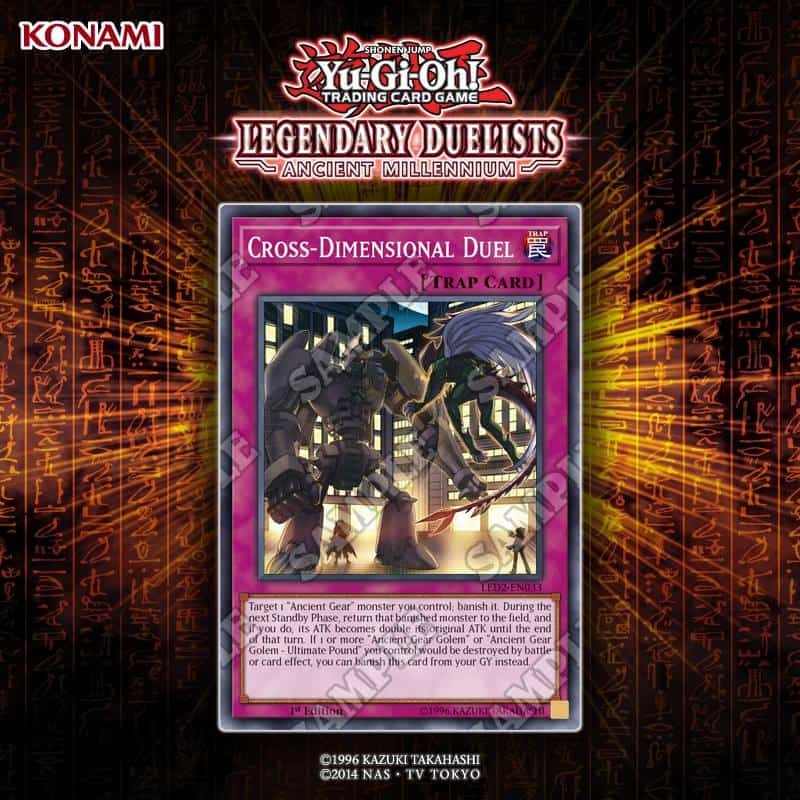 This is the card we had temporarily translated as “Competition – Cross Dimension“. For note of people, the Japanese name was basically a humongous word play on the Japanese Name of Dr. Vellian Crowler, as Competition here sounds like the Japanese Word for Instructor/Professor, while Cross Dimension sounds similar to “Cronos de Medici”, his Japanese name.